If we look back into the geologic record of the Earth, it appears that our planet’s magnetic field flips polarity every few hundred thousand years or so. Why does this happen? When’s it supposed to happen next? Is it dangerous? Geomagnetic reversal is when the orientation of the Earth’s magnetic field becomes reversed. Thus, magnetic north and south switch places. The process is a gradual one though that can take thousands of years. The possibility that the magnetic field could reverse was first brought up in the early 1900’s. However, at this time scientists did not understand the Earth’s magnetic field very well so they were not interested in the concept of geomagnetic reversal. It was not until the 1950’s that scientists began a more in-depth study of geomagnetic reversal. Scientists have not reached a consensus on what causes pole reversal. Some believe that it is simply an effect of the nature of the planet’s magnetic field. They base this hypothesis on the magnetic field lines’ tendency to move around and think that it becomes agitated enough to flip. Other scientists propose that external influences cause the shift. 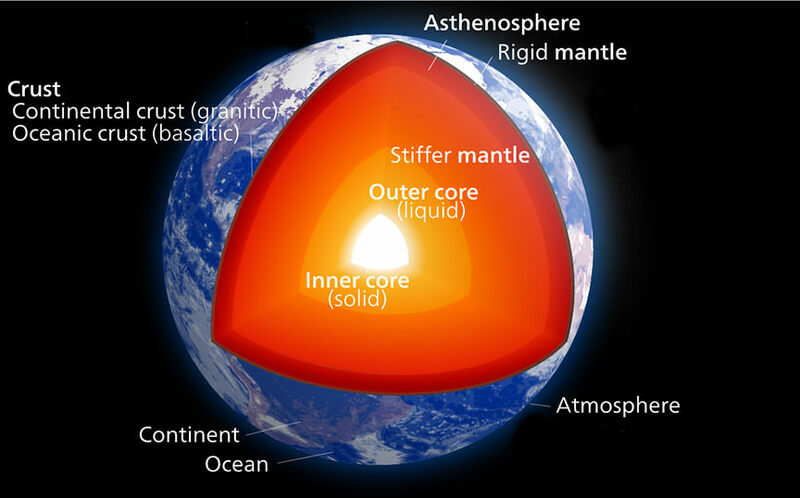 For example, a tectonic plate that undergoes subduction and goes into the Earth’s mantle may disturb the magnetic field enough to make it turn off. When the field restarts, it randomly chooses orientation, so it could shift. In order to better understand the process, scientists study past geomagnetic reversals. This is possible because the reversals have been recorded in minerals found in sedimentary deposits or hardened magma. Scientists have discovered that the magnetic field has actually reversed thousands of times. Scientists also discovered a record of reversals on the ocean floor. The time between geomagnetic eruptions is not constant. One time, five reversals occurred over a period of a million years. Sometimes however, none happen for a very long time. These periods are known as superchrons. The last time a geomagnetic reversal occurred was 780,000 years ago and is referred to as the Brunhes-Matumaya reversal. Geomagnetic reversal has also been linked to 2012. Some people believe that in 2012 when the Mayan calendar runs out we will experience some cataclysmic event that will destroy our world or life as we know it. There are various theories for exactly what this event is. One theory says that geomagnetic reversal will occur during 2012. 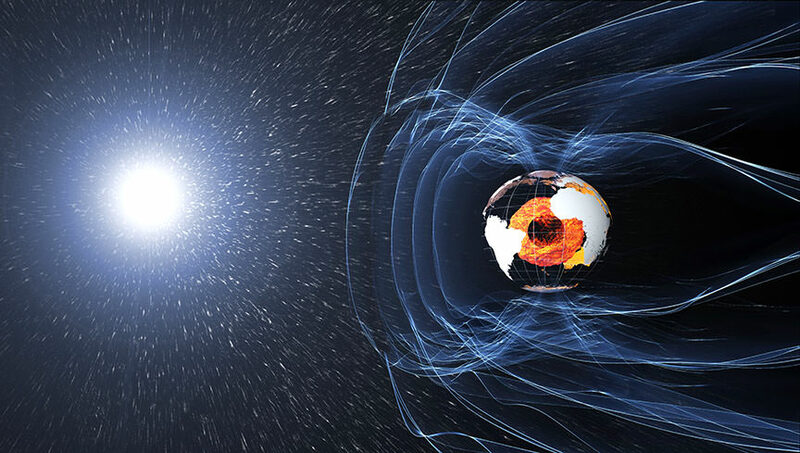 Since the magnetic field is weaker at first when it switches, some claim that the Earth will be ravaged by solar rays. Scientists still have not determined what effects a geomagnetic reversal will have on humans; however, humans did survive the last reversal 780,000 years ago. One hypothesis is that the solar winds actually create a magnetic field sufficient enough to protect us while Earth’s magnetic field restarts. Universe Today has articles on no geomagnetic reversal in 2012 and field reversal may take 7000 years. For more information, you should check out geomagnetic flip may not be random and magnetic storm. Astronomy Cast has an episode on magnetism everywhere.